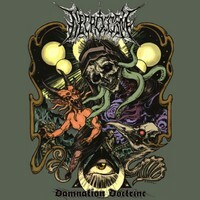 We are stoked to be giving a copy of Necrocosm’s new, self-released album, Damnation Doctrine. With that in mind, Damnation Doctrine can be yours if you enter before Friday, November 6. Enter “Necrocosm” in the Answer field below.